Gold color. Toasty, grainy aromas and flavors of buttered corn pepper muffin and hint of citrus and melon with a supple, vibrant, finely carbonated, dry-yet-fruity light-to-medium body and a medium finish that exhibits nuances of touch of pepper and hint of apple and sprouts finish. A nice, mellow lawnmower beer. Bottom Line: A nice, mellow lawnmower beer. 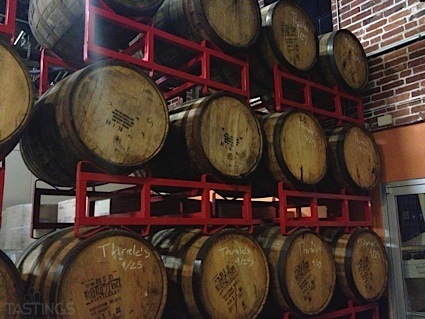 True to their name, American style golden ales are golden to light copper in color and range from 4-5.5% in alcohol. They have a more subtle overall character and lighter body in comparison to typical pale ales and do not contain the same fruitiness of English ales. The most important qualification is that they are brewed domestically. Noteworthy examples of this style include: Fish Tale Organic Blonde Ale, Kona Big Wave Golden Ale and Half Acre Gossamer Golden Ale. 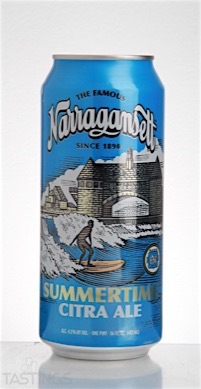 Narragansett Brewing Company Summertime Citra Ale rating was calculated by tastings.com to be 86 points out of 100 on 7/14/2016. Please note that MSRP may have changed since the date of our review.